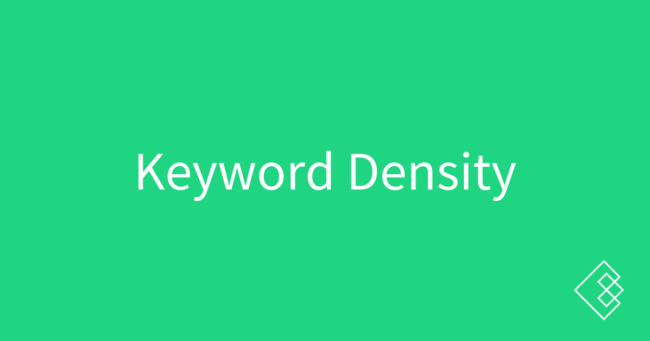 Keyword density is an old idea in the SEO world that there is an ideal number of times that a keyword should be mentioned on a page for optimal rankings. This idea is false and outdated. Any SEO or agency who tells you that you need to mention your target keyword/phrase a specific number of times or as a percentage of total words (ie 10 times in a 1,000 word article or 3 times in a 300 word article) is working with outdated knowledge and tactics, and you should be skeptical of any advice they give you. Are we saying that keywords don’t matter? Absolutely not. The search engines want to provide the best experience possible to users once they exit Google to a search result that is ranked, so instead of optimizing for keywords and traditional search queries, you need to optimize for read-ability, scan-ability, and query -> intent matching. Which would you rather read when you go to a result after searching [moz vs hubspot]? Version 1 (keyword density) or Version 2 (read-ability)? Trying to figure out if you should use Moz or HubSpot? How do they compare? At the end of the day, should you use Moz vs HubSpot, or both? Moz vs HubSpot is a question we often get asked. They are different tools that serve some of the same needs, but have different ideal customers. Let’s explore more about Moz vs HubSpot. Many marketers and businesses have asked the question “Which should I use, Moz or Hubspot?” While the answer is often “Why not both?” because they are vastly different tools (and the founders are very good friends), we thought it would be useful to dig into the differences to help you make the right decision for your business. At a very high level, HubSpot is more advisable for businesses with more capital as this product is more expensive in terms of initial and ongoing pricing. It is, however, packed with more features and covers more marketing channels. Moz’s software, on the other hand, can be considered competitive in terms of design and pricing, but lacks aspects like project management and the automation possible with Hubspot. Hubspot is a marketing platform, whereas Moz is a strong reporting and tools suite to help marketers and businesses gather their own information.